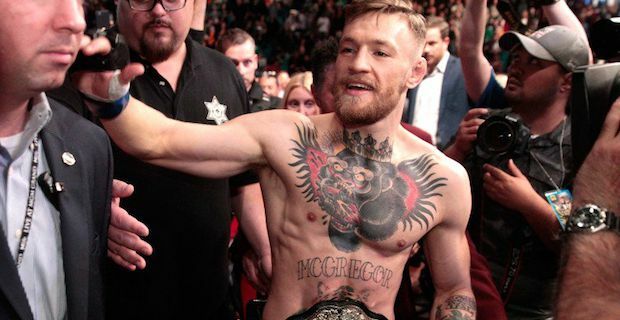 On Tuesday it was announced that Conor McGregor was pulled from UFC 200 due to his unwillingness to participate in press and promotional events for the fight. This Irish UFC fighter shocked and confused the MMA world by tweeting that he “decided to retire young” at the age of 27. He has since left fans scratching their heads as to what just happened. But even if he was to retire, he is not the first high-level athlete to leave the scene at such a young age. Tennis super star Bjorn Borg from Sweden started playing high level tennis at the age of 15 and had won his first major singles tournament when he was 18. By 20 he was Wimbledon’s youngest winner without dropping a set. After he won 11 Grand Slams Single titles when he was 26 he decided to retire as he heart wasn’t in it anymore. He subsequently started a successful fashion line. Rocky Marciano is one of America’s most famous boxers. He has been called by many as one of the best heavyweight boxers of all time and his record proves it. He went undefeated with a record of 49-0, 43 of which were knockouts. In total he boxed for a short 8 years and then when he turned 32 he said he wanted to spend more time with his family. Unfortunately he died in a plane crash at the age of 45. Bobby Jones was a famous golfer who actually only competed in competitive golf as an amateur. He made a living as a lawyer and golfed part time, but competed against the top golfers of his time. In 1930 he won the Grand Slam, all 4 major golf tournaments in a single season. Over his career he won 13 of 31 majors that he competed in. At the age of 28 he retired and kept golf a part of his life through instructing and designing equipment. One of the top professional basketball players of all time is Magic Johnson who played for the LA Lakers. During his athletic career he was in 12 All-Star games, won 3 NBA MVP awards, took part in the US Olympic basketball team in 1992 where they won the gold medal, and accomplished many other astonishing feats. When Johnson was 31 he found out he contracted HIV and decided to retire. He did come out of retirement a few times, but only for short periods. He spends much of his time now being a spokesperson for HIV and AIDS awareness.